 Last Minute Gift Idea for Her? 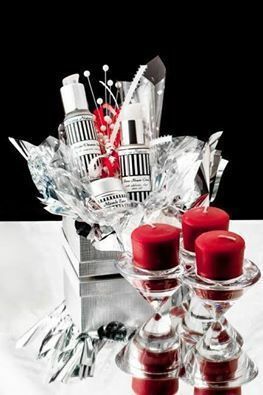 She will ADORE a Devera Holiday Gift Set! Enter to WIN one! 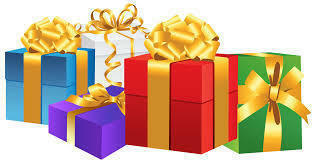 If you are still in need of a gift for a special lady, look no further than Devera Naturals. 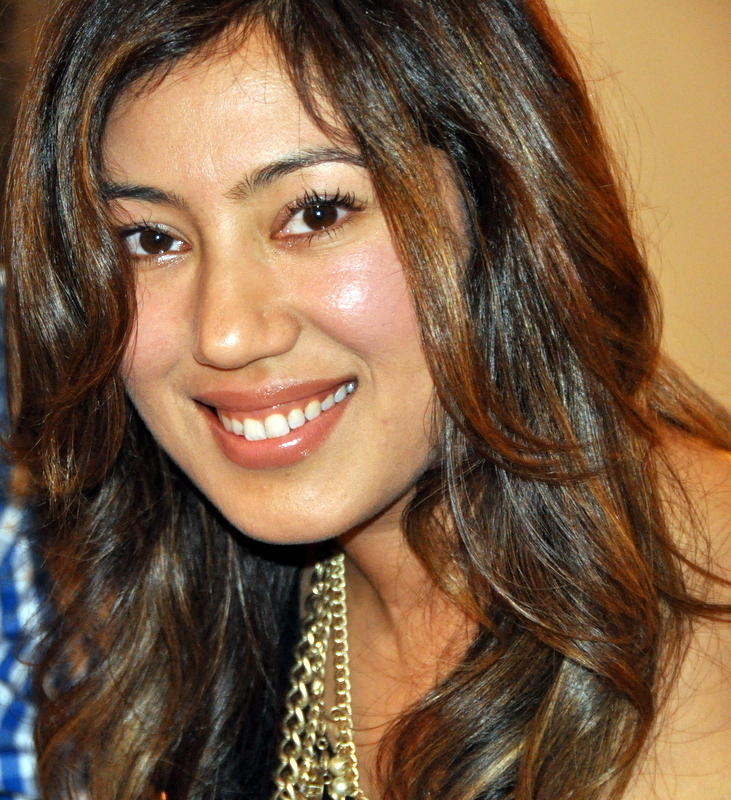 I have tried Devera's skincare products and they are amazing! Click here to learn more. 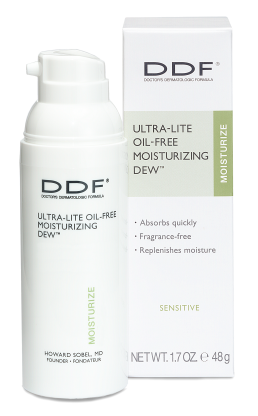 https://deveranaturals.com/givea…/devera-naturals-giveaway/… and make sure you see how you can triple your chance of winning! Hurry…this offer will close on December 22nd! A few nights ago,at the 22nd Annual Critics' Choice Awards held at Santa Monica Airport's Barker Hangar in California, Nicole Kidman shined on the red carpet in her gorgeous gown and sleek hair style. Her go-to hairstylist, Kylee Heath, used MOP haircare and Cricket Co. products to create this glamorous and sophisticated look.  QURB Your Cravings Weight Loss Challenge! Share What Cravings Sabotage your Weight-Loss Goals for a Chance to Win an All-Expense Trip for 2 to Los Angeles and a Year’s Supply of QURB Shots! Beverly Hills, CA Cravings often sabotage the best-intended diet and weight-loss plans. This year, stick to your New Year’s resolution to slim down and get in shape with the help of Qurb™ Shot (www.qurbshot.com) and Qurb™ Shot PM. Qurb is the must-have dieting tool for 2017 that helps puts the brakes on uncontrolled cravings. It also is a great tasting fiber fix. Studies show that Americans do not get enough fiber in their diet. Among other natural and effective ingredients including green coffee bean extract, Qurb, has 10 grams of high quality Fibersol® in each serving, which helps reduces hunger pangs and restores the feeling of fullness. Contestants post their videos on Facebook though January 15, 2017. Seven finalists will be selected and each finalist will receive a 3- month supply of Qurb ($600 retail value), a Nutrition and Work Out Guide by a celebrity fitness professional and Qurb wear. Finalists will be announced by mid-January, 2017. The winner of the contest will be determined after the 3-month period and all finalists must agree to share their progress on Facebook. Winner will be announced Monday, April 24, 2017. Qurb™ Shot and Qurb™ Shot PM ( www.qurbshot.com ), are created with scientifically-tested ingredients to help battle stubborn cravings with a fast-acting delivery system that helps burns fat and helps people feel fuller longer, and tastes great. Qurb™, a carefully formulated shot that supports a healthy lifestyle of diet and exercise, delivers a vitamin boost along with a double whammy of weight loss support including a fat burner, and fiber which helps suppresses cravings. It is the perfect solution to boost will power. Each 3 oz. bottle of Qurb™ Shot provides an effective appetite suppressant full of healthful ingredients including 10 grams of fiber, 100% of the recommended daily dose of both vitamins B6 and B12 and 400 mg of green coffee bean extract and caffeine for an effective energy boost. 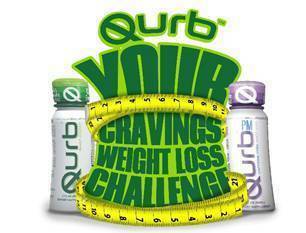 Qurb™ aims to help people avoid over eating and unhealthy snacking that can sabotage the best weight-loss efforts. Qurb™ PM Shot has been formulated for nighttime cravings, often the downfall for many dieters after a day of careful eating and exercise. The PM shot does not contain any caffeine and has 100 mg of Theanine which has been scientifically shown to relax the body and mind. Qurb’s ingredients have been scientifically-tested. In one study, participants who were given 10g of Fibersol2 reported feeling less hungry and showed increased levels of two key appetite regulating hormones after four hours. Soluble dietary fiber decreased hunger and increased satiety hormones when ingested with a meal. Brrrrrr! It is freezing outside! 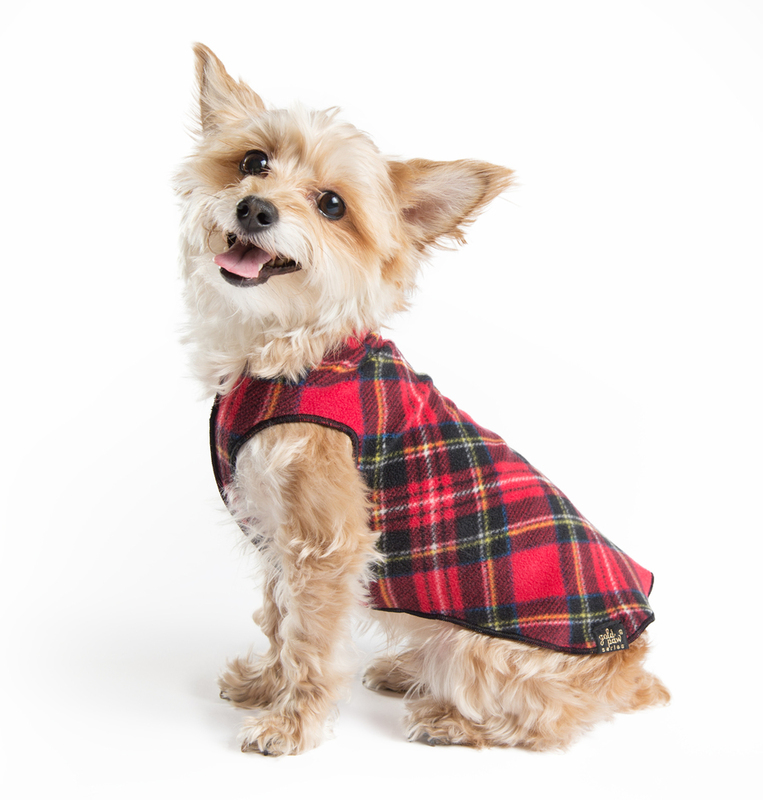 Keep your four-legged friends warm and cozy this winter with fashionable fleece outerwear from Gold Paw Series. The Stretch Fleece: Keeps your dog warm and stylish without adding bulk. The fleece contains recycled polyester and 7% spandex for a four-way stretch to guarantee a perfect fit, also making it easy to get on and off. 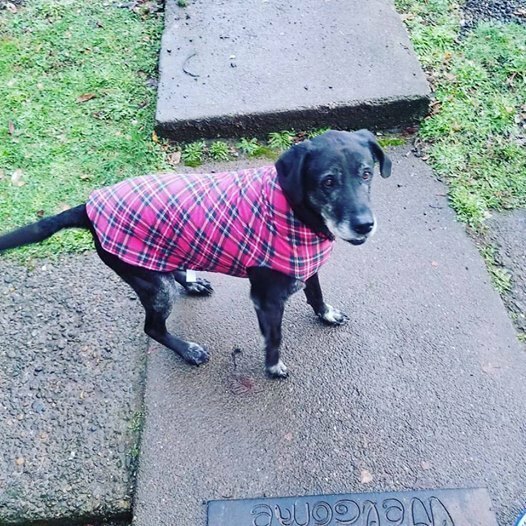 I received a Red Tartan Plaid Fleece to review for my 12 year old black lab, Banner. Banner usually hates wearing any kind of clothing, and will try his hardest to tear it right off (if I am lucky enough to get it on him in the first place.) 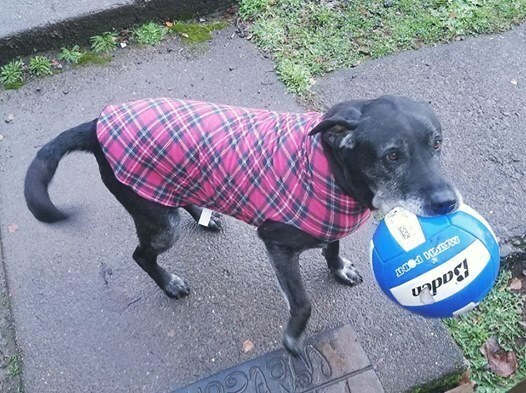 The weather has been colder lately than usual here in Estacada, and my dog needed something extra warm to wear. This adorable fleece was extremely easy to put on Banner. It was absolutely no struggle at all! I was so surprised at how simple it was to pull this stretchy, soft fabric over his head. He even let me stick his paws through the arm holes with no resistance. I was almost in shock! And then Banner started to prance around like a puppy! It was as if he KNEW that he looked dapper. He was able to move freely in his new cozy fleece, and I think he felt warm and snuggly. He immediately ran to grab his favorite ball and show off how stylish he looked in his holiday attire. I love how soft and stretchable the material is, and how it perfectly fits Banner without being tight in any area of his body. In fact, 8 hours later, Banner is happily still wearing his fleece and is sleeping in his bed. The Stretch Fleece comes in many different colors and is made for every shape, size and breed of dog! (They even have them for cats! Perfect holiday gift for that special pet! Holiday season is here! As your calendar begins to fill up with social events—consider the contents of your party clutch. What beauty necessity will you pack? Plan ahead this year with a few mini-size essentials, perfect for the mid-party touch-up. 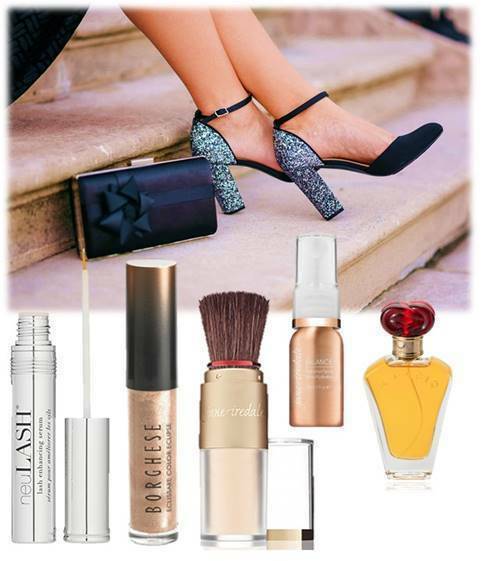 To help you maximize your beauty stash in a minimal clutch space I’ve listed 5 purse-sized beauty products from neuLASH , jane iredale and Borghese.  Tartan + Twine - Cosmetic Bags, The Gift She will Treasure! 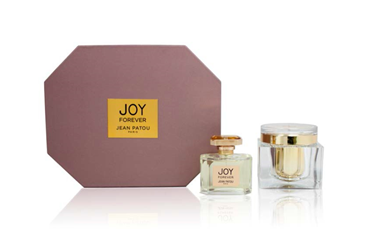 Stumped to find the perfect gift for that special lady? If she is anything like me, she loves all things beauty-related. That means she probably has a lot of makeup and beauty products that she would LOVE a stylish cosmetic bag to put them in! Something elegant for holiday travel? Tartan + Twine has the most gorgeous cosmetic bags that she will treasure! I certainly love mine. I received a Tartan + Twine cosmetic bag to review. Mine is a festive shade of sparkly green! It is perfect for this holiday season. My cosmetic bag is called the Gwynn Check Medium Clutch. 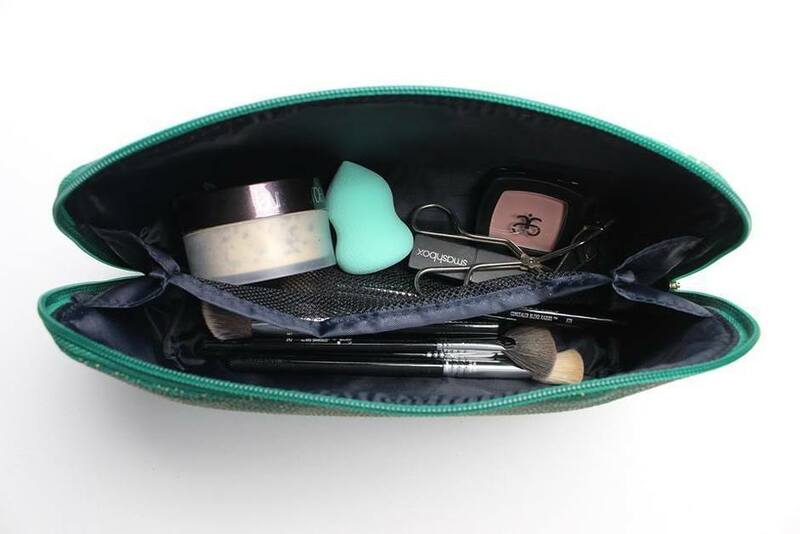 This Tartan + Twine Beauty Clutch is a simple, yet roomy beauty organizer. It's a single-zip bag that features a useful mesh divider that separates the inside into two sections. 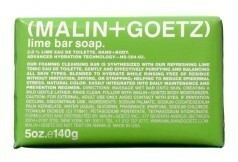 For travel, place toiletries on one side and makeup on the other. 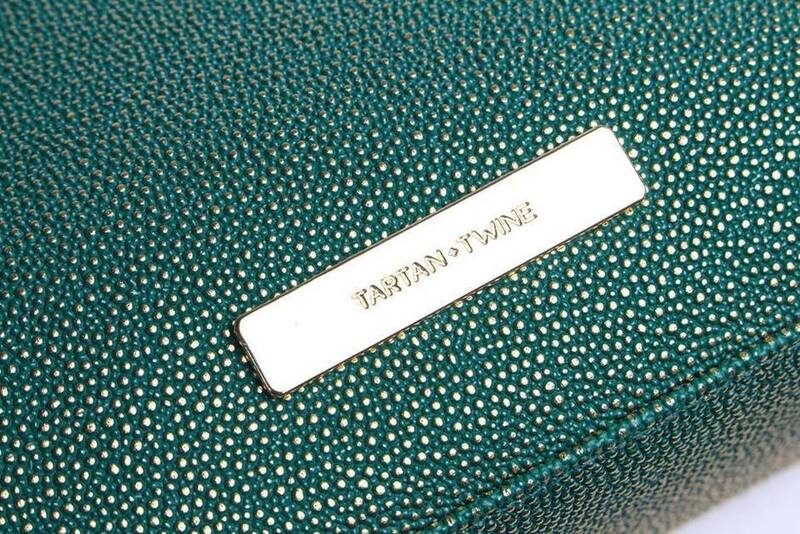 It can also double as a fun, fashion clutch.Made of green and metallic gold caviar-textured PU. I love my beautiful Gwynn Check Clutch. Right now, I am using mine as a holiday handbag. It holds all of my makeup, plus my credit cards and cash. 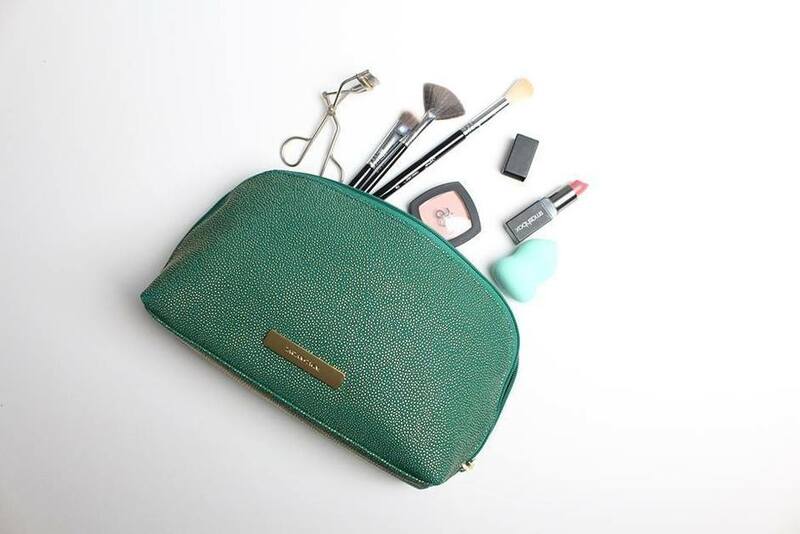 We are headed for Hawaii in two months, and this handy clutch will easily carry all of my makeup, plus my toiletries! It is very sturdy, and I can tell that it is made to last. 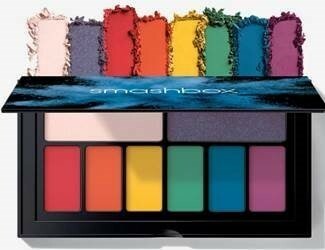 Best of all, it is completely stylish and versatile. How did it get to be December so quick?? The holidays will be here before you know it so it’s time to start planning our stunning glam looks! 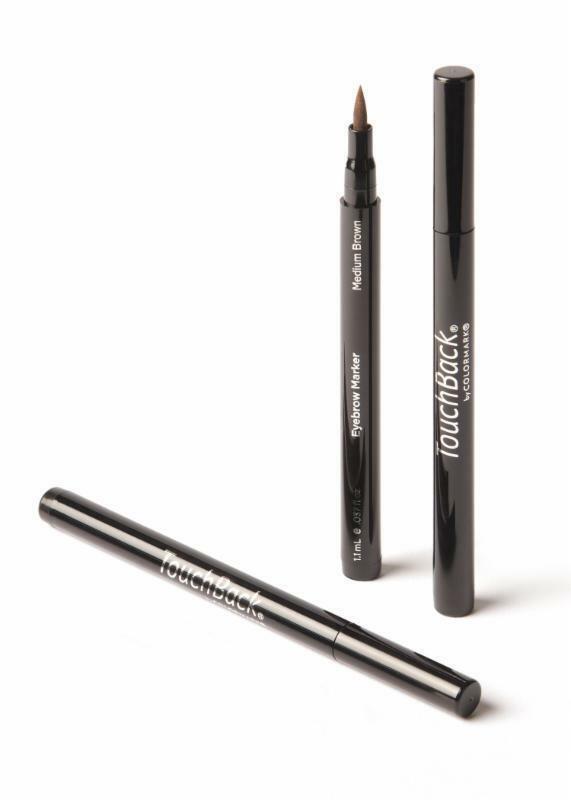 John Frieda, Sun Bum, TouchBack and Wink Brow Bar have made getting these looks at home that much easier! 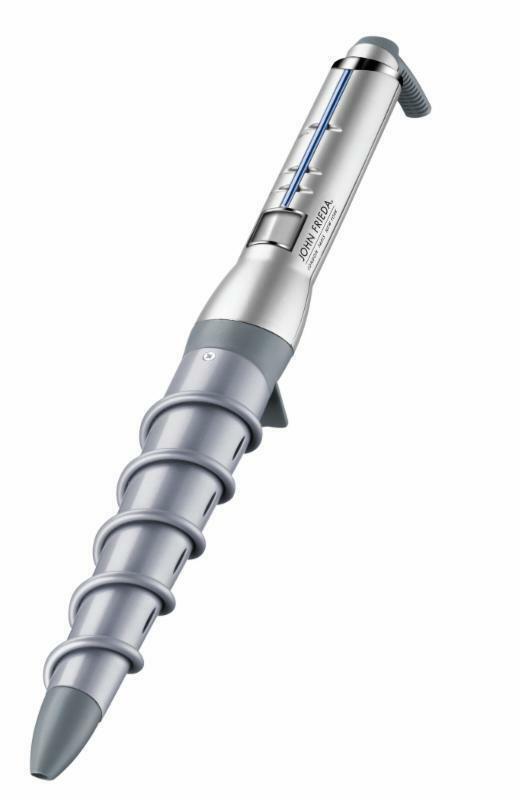 Pioneering healthy heat styling, the Spiral Curls heat styler features exclusive ionic frizz-fighting technology and true ceramic heat with LCD temperature control for accurate temperature output, the key to shiny, healthy hair. 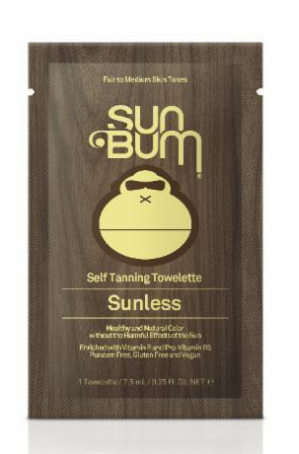 The new Sun Bum® Sunless Self-Tanning Towelettes not only contain the most effective ingredients like Black Walnut Leaf Extract but also are infused with a patented clear self-tanning formula that works with the proteins and amino acids in skin to produce a healthy, beachy glow.